Their answer: Increasing teacher pay could stem turnover and help students. This strategy by district leaders comes amid growing recognition that paying teachers higher salaries is directly related to improving the education outcomes of their students. The increasing likelihood of a teacher walk out in Oakland comes against the backdrop of the first teacher strike in 30 years in Los Angeles Unified, the state’s largest district. The walkout is expected to begin on Monday. As in Oakland, Los Angeles teacher demands include salary increases and smaller class sizes. In Oakland, the union — which is pushing for a 12 percent salary increase over three years and smaller class sizes — agrees that lowering teacher turnover will help student learning. The district has offered a 5 percent pay raise over three years. Oakland loses about 300 teachers annually, many to neighboring districts with higher salaries. Its teacher retention rate dropped from 82 percent in 2011-12 to 80 percent in 2015-16, district data show, which is about 7 percentage points lower than statewide averages. Over the same period, the average teacher retention rate in districts statewide dropped from 90 to 88 percent, according to a recent report on teacher shortages produced by the Learning Policy Institute as part of the Getting Down to Facts II research project, which examined numerous challenges facing California education. Like the Oakland data, those rates include teachers who moved to another district, retired or switched professions. 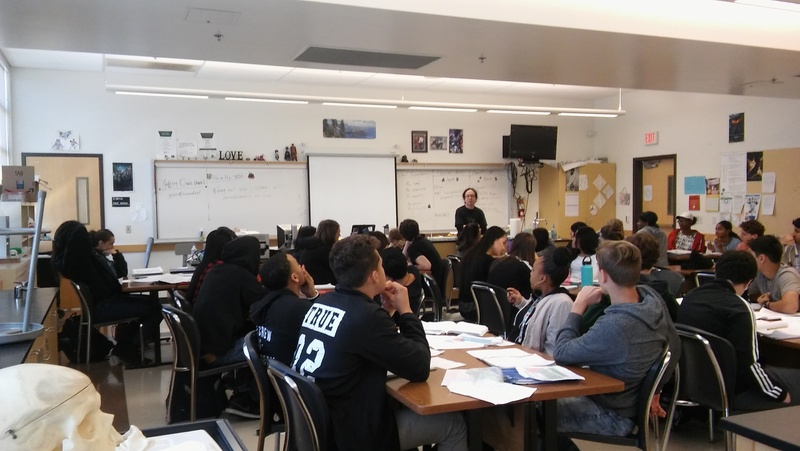 While teacher turnover has long been a problem for Oakland, it has become acute this year because the district must make millions of dollars in cuts to avoid a deficit budget, which could include closing as many as 24 schools over the next five years. At the same time, the district is locked in tense contract negotiations with its teachers, who have been working without a contract since July 1, 2017 and are demanding a salary hike. Teachers have become increasingly vocal this year with protests around schools and in downtown Oakland. A strike could occur later this month. The California Teachers Association and teachers from other districts joined Oakland teachers in supporting Los Angeles teachers during a statewide “Red for Ed” rally on Saturday seeking more funding for public schools. 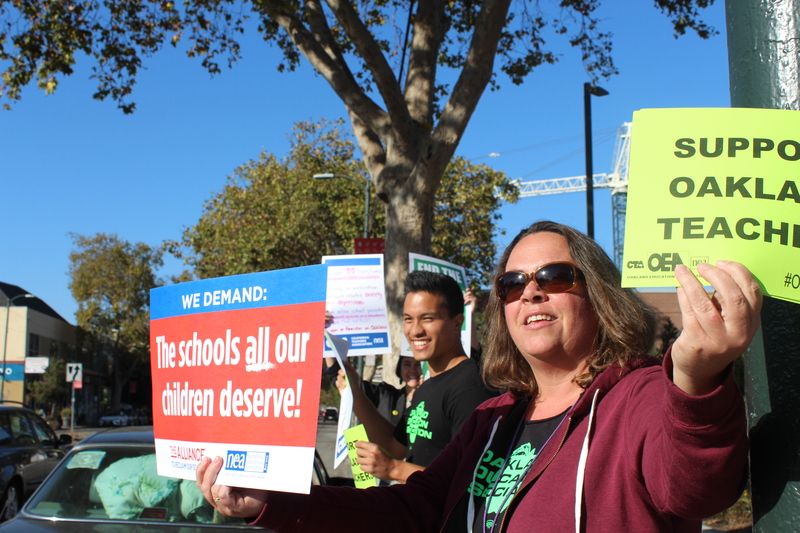 Kyla Johnson-Trammell, superintendent of Oakland Unified, told EdSource that the district is committed to providing teachers with raises, but must be careful not to promise more than it can afford. Oakland Unified Superintendent Kyla Johnson-Trammell, right, speaks to the school board about the district’s budget on Dec. 12, 2018. Johnson-Trammell and many Oakland school board members see the district’s budget crisis as an opportunity to prioritize spending on improving student achievement. Student performance on the Smarter Balanced standardized tests in math and English Language improved slightly in 2018 but still lags statewide averages. The best way to help student learning, several board members say, is to support teachers with pay raises, mentoring for new teachers and other classroom supports. In Oakland, the average annual turnover rate among its 84 schools from 2015-16 to 2016-17 was 29 percent; 61 schools had a teacher turnover rate above 19.6 percent, which is the average among California’s urban schools during that time, according to a study for the Getting Down to Facts II project issued by the Learning Policy Institute, a research and policy organization in Palo Alto. “High teacher turnover actually reduces student achievement when you have a lot of it,” said Linda Darling-Hammond, president and CEO of the Learning Policy Institute and the author of two reports on teacher shortages in California for the Getting Down to Facts II project. She said it can be very disruptive to students to have new teachers coming into a classroom with different attitudes and ways of working. Hiking salaries for Oakland Unified teachers would address a major concern among teachers, but would not solve all of the problems they face, according to a recent school district survey. Sixty-seven percent of the employees surveyed cited low salaries as they main reason they would leave the district. That was closely followed by housing prices (61 percent), the lack of adequate supplies (61 percent) and lack of job support (45 percent). Rafael Silva, a second-year teacher at Oakland International High, said he plans to move to New York at the end of the school year to take a position where he will make about $20,000 a year more. Special education teacher Amy Evje said she left Oakland’s Grass Valley Elementary at the end of last school year because she did not receive the pay, support, training, resources or respect she felt she needed from the district. She’s now teaching in another district that she declined to name. “I’m a really good teacher. I won an award my first year. But I knew if I kept teaching with no support and kids weren’t getting what they needed, I would burn out,” she said. Michael Lee, 26, said he could manage with the low pay he received to teach middle school math and science because he was renting a house in East Oakland with roommates, but he was frustrated by the lack of resources at his school. As for salary, he figured he probably couldn’t stay in Oakland Unified for the long term, since he would need more money if he married and started a family. Lee left last June to take a job working on school budgets for an educational financial services company that works with charter schools. Oakland loses many teachers to neighboring districts where many offer higher salaries. 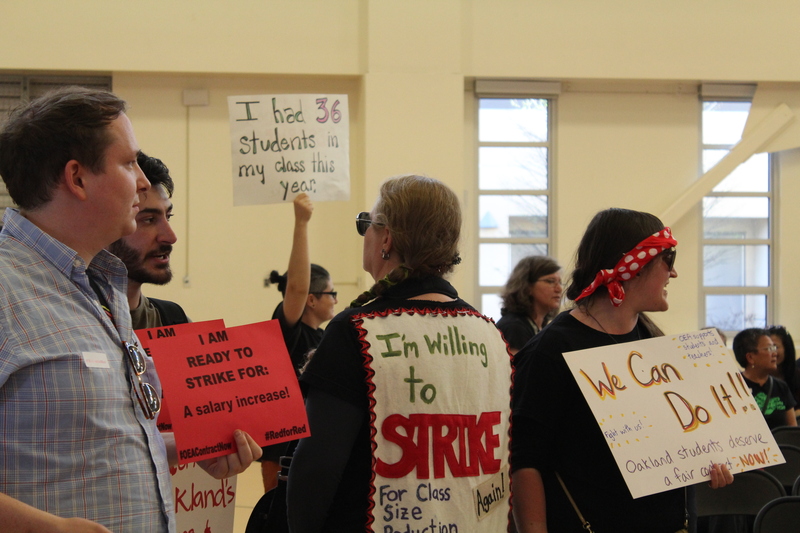 Rising home prices have prompted some other nearby districts such as West Contra Costa Unified to give teachers significant raises, as they compete for teachers in Oakland Unified and other parts of the state. The districts have similar starting salaries: $46,570 in Oakland and $46,360 in West Contra Costa. 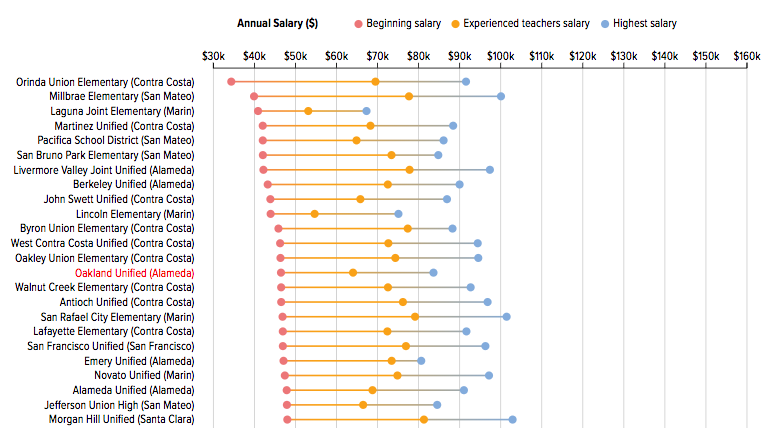 The average teacher’s salary in West Contra Costa is $70,833 and the top salary is $94,500. In Oakland, the average is $63,149 and the top salary is $83,724, according to state data. In 2018, Oakland had the second-lowest average salary among 107 districts in six Bay Area counties and 15th-lowest for its entry-level teacher’s salary. It ranked third from the bottom for its salary of $64,124 for teachers with 10 years of experience and an additional 60 units of educational credits and 4th from the bottom for its top salary. It’s harder for districts to recruit and retain teachers if salaries in surrounding districts are higher, Darling-Hammond said. This contributes to districts like Oakland hiring teachers who aren’t fully credentialed and who tend to leave at rates that are two or three times higher than fully prepared teachers, she added. Darling-Hammond said expanding teacher residency programs that allow those who are seeking credentials to work in district classrooms could boost retention for these teachers to rates of 80 to 90 percent four or five years later. Such programs build on the medical residency model to offer an alternative pathway to those seeking teacher certification by essentially working as apprentices alongside expert teachers for an academic year. In turn, teachers commit to teach in the district for three to four years beyond the residency. Learning Policy Institute research shows districts can retain more teachers with mentors and money for testing, fees and tuition related to obtaining a teaching credential; leadership opportunities for teachers and additional support to those who have not yet completed their credentials. These are among the so-called “teacher pipeline” programs to prepare staff to become certified. Oakland Unified offers several such programs and plans to add others funded by outside grants. But these efforts are long-term strategies. The board will have to decide much sooner which district programs or positions to cut if it follows through on its commitment to increase teacher salaries. John Green, a California Teachers Association representative on the teachers’ union bargaining team, said the district’s inability to effectively manage its finances, along with news reports about future layoffs and uncompetitive pay, hurt recruiting and retention.